Used For: The remedy is widely known for its astringent properties. Beechdrops is applied topically whenever astringent effect is necessary, for instance, in skin conditions, like cuts, bruises, and wounds. 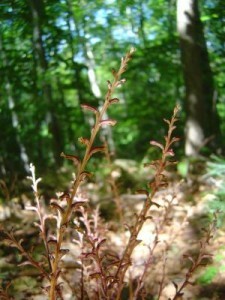 Additional Info: The plant is indigenous to North America and can be found parasitizing on the beech roots. Its root spreads across the living environment, producing tubers. There are no leaves on the stem which can reach 15 inches high on average. The herb is reddish-colored.